Are you looking for purification systems with following features? 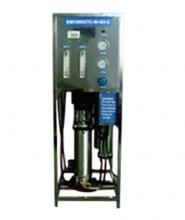 Do you wish to have enhanced Industrial Purification solution, but have few existing working consoles. Our system engineers ensure complete integration of our industrial RO plants, with your existing modules. 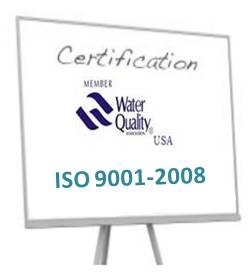 Since 2000, we're offering a wide range of industrial reverse osmosis Plants, which comes in a flow rate of 100 LPH to 25000 LPH and reduce TDS @ 90-99%. Our clients can avail from us a comprehensive range of Industrial RO systems with mixed bed or other necessery fittings to complete a water treatment plant, which is widely used in industries, factories as pure water needs for manufacturing of various medicines, chemicals, food products & with other raw material . Actually, this unit contains Reverse Osmosis system with cation and anion column, which is completely filled with resins. The unit has the capability to produce output depending upon the quantity of the resin. This process is executed with the help of our offered range, as it has FRP/LLDP column of cat ion and anion exchanger, which is connected with flexible hose and multi-port valve. Available with a separate plastic drum for the regeneration of cat ion exchanger, these are presented at industry leading rates. Pressure Gauges 2 Nos. 5 Nos.